Originally, a kettle was a large ceramic cooking pot or cast iron cooking pot that could be suspended or placed over an open fire. It was used to boil water, cook meat and stew, and often wash or dye clothes. By placing a kettle upside down over a griddle, an oven can be created that can be used to bake bread. This is the makeshift prototype of all modern baking ovens. The first kettle ovens were most likely clay pots inverted over baking stones on open fires. This is a cooking method that travellers and nomads have used for a very long time. 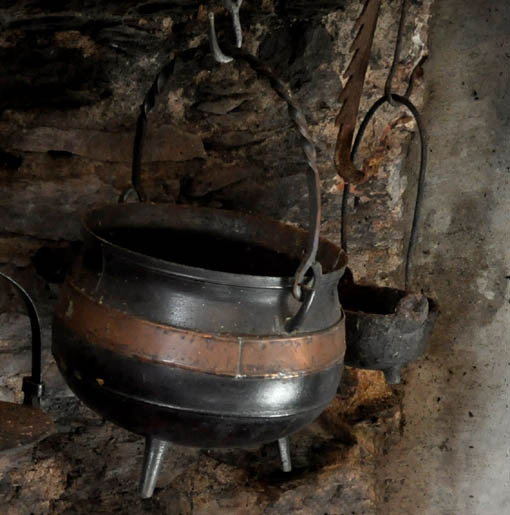 Since the iron age, such metal pots were called Cauldrons, from the Latin "caldarium" (hot bath). By placing a lid over a cauldron, you can produce a very effective kettle oven.